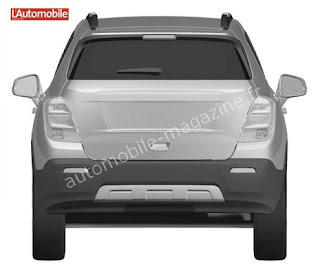 So a long time ago I reported on the possibility of Chevrolet getting a version of Buick’s Encore, perhaps called the Strobe, and now L'Automobile Magazine has obtained Patent renderings of this Vehicle. The car shares absolutely no sheet metal with the Encore; even the door skins are unique. and a front fascia that looks like a Cruze and an Equinox had a love child. So because it shares no styling, why does it still look like an Encore? Well I think this can be attributed to two things, 1: one the Proportions, and 2: the fact that it’s a patent rendering does the car no justice, I think it will look allot better, and less like the Encore when it’s in production, but it doesn’t look too bad now. I might try to “Paint” the car in Photoshop to give us a better Idea of what it will look like if I get the time. It’s unclear whether or not this will come to America, as reports have both confirmed and denied it, but if it does, we can probably expect at least some lighting changes, but judging by spy shots, I’d be willing to bet it gets a more Sonic like face if it makes our shores. 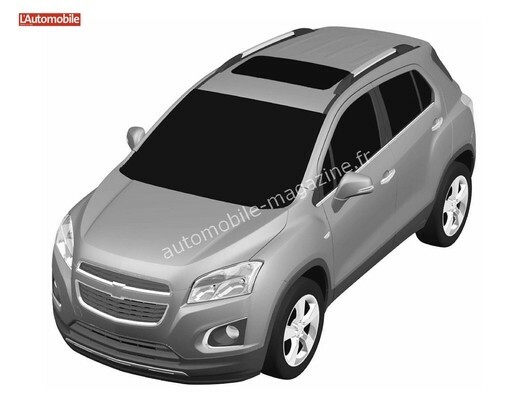 I hope it does come here though because Chevrolet needs something to go up against the other small SUVs like the CRV and Rav4, But I’d like to pose a question to you guys, would you rather Chevrolet get this or the Meriva?